"American Glory has become a family tradition. This is our third year coming, and it just keeps on getting better. From the moment you walk through the door, you're greeted with friendly faces, attentive staff, and even some live music adjacent from their awesome bar. Our bartender was awesome. He let me taste all of the options I was deciding between and conversed with us as if we were longtime friends (He can make a killer Old Fashioned by the way). This BBQ truly brings a taste of the south with Williamsburg charm. Take my advice, start with the fried pickles.. you won't regret it. My waiter Kyle tended to our table of 10+ among all of the other tables upstairs and did an amazing job. The cornbread that comes with the BBQ platters is probably the best I've ever tasted in my life. It's like having dessert with your main course. Come for the live music, stay for the drinks, and eat until you physically can't anymore. The price of wearing elastic sweatpants in public is worth it.."
"Had an absolutely amazing time at American Glory! My boyfriend and I, joined by four of our friends, went to American Glory on a Friday night before a show at Helsinki Hudson. Before we made reservations, we all checked out the menu and were pleasantly surprised (but honestly, THRILLED) at the food and whiskey selections! When we arrived we were greeted by incredibly friendly and accommodating staff. The atmosphere was laid back and comfortable, and the staff was organized and professional. We stayed for awhile, and as the night went on, a gentleman named Sam arrived and spoke with our party to make sure everything was to our liking. He appeared to be running the door. Given the massive whiskey selection along with beer, wine, and cocktails, I could absolutely see American Glory running the risk of being a booze-y bar. There are a number of establishments near me in the Troy/Albany area that have developed questionable reputations despite great food and service because they have not had proper staffing for security purposes. I applaud American Glory for taking this precaution, as it allowed our group to enjoy an incredible meal and casual drinks without interruption. Thanks so much to Sam and the rest of the staff! You guys were amazing, and we look forward to returning soon." "As a weekender from the city I know I should be trying a variety of the resturant offerings in Hudson but on the train ride up my American Glory cravings usually start to kick in. I'm a big fan of thr Firehouse Chili (loaded with pulled pork, sour cream and cheddar cheese) and the Wedge Salad (dressing on the side). When it recentyl came time to host 120 friends from the city for a classic outdoor BBQ, I naturally called on American Glory. They did not disappoint. From the beginning the catering service was helpful and put together a menu for a price point that met my budget. The food was on-time and excellent, the service was great, the cleanup was outstanding and the guests were pleased. 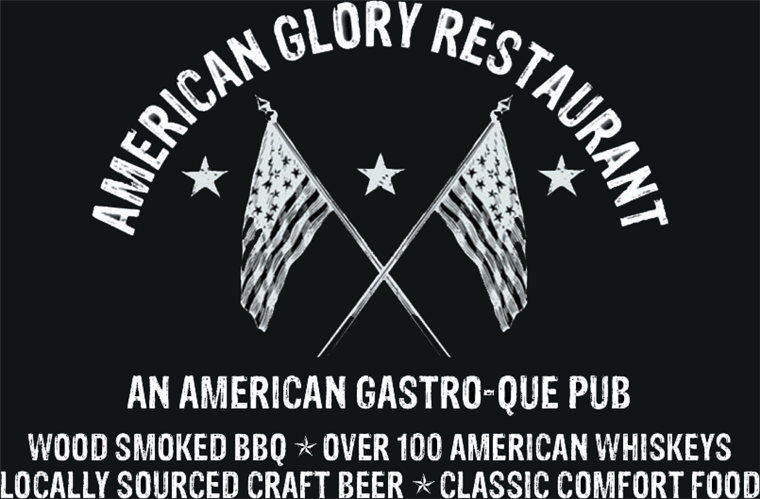 Whether satisfying your personal BBQ cravings or hosting a party I highly recommend American Glory."